When it comes to teaching little ones about Earth Day, the most efficient way to educate on this important holiday is by way of demonstration. Even if you don’t have a particularly young audience to entertain or educate on the importance of this day, it doesn’t hurt to add some fun projects into the mix! This super fun and the interesting project call for some old bits of paper such as a newspaper. These pieces of paper are folded and interwoven to create a really cute little basket perfect for holding jewelry, movie ticket stubs or any other kind of Knickknack. You can also paint these boxes for an extra fun aspect. Have old plastic bottles you’ve collected and need to find a use for? Why not try one of these ideas provided by this super great YouTube video? There are so many great ideas in here including how to use bottle caps to create wall art, hanging plastic room lamps and plastic bottle Christmas trees, just to name a few. These eggshell seed starters are the perfect project because they are entirely recyclable. 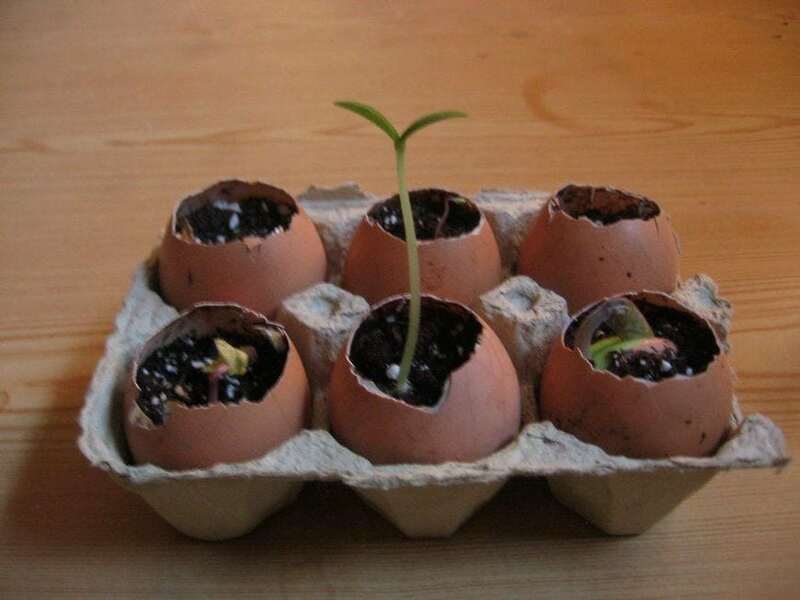 Instead of discarding the morning’s eggshells, simply set them aside to fill with soil and start your own seedlings in. Best part, you can bury the entire shell with the seedling since the eggshell is biodegradable and will provide some nutrition to the budding seedling. 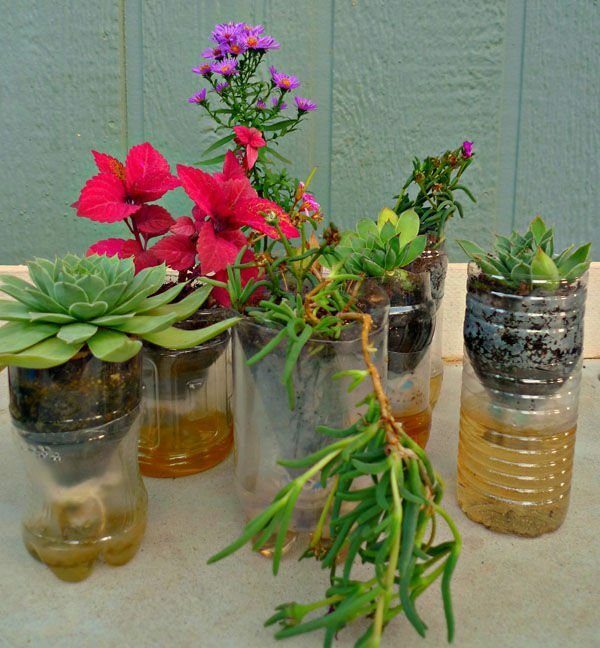 These plastic bottle planters are a great way to reuse, reduce and recycle. You can watch your plants grow with ease and recycle some old plastic bottles, too. That’s what this day is all about, really. Learning how to benefit the planet and use things to create a more sustainable atmosphere. This video features some pretty cool recycled crafts you can try such as a reusable M&M zipper bag and some super cute orange juice container pouches. Whether you’re a novice crafter or someone who crafts often, these are super simple projects that anyone of any age can try. 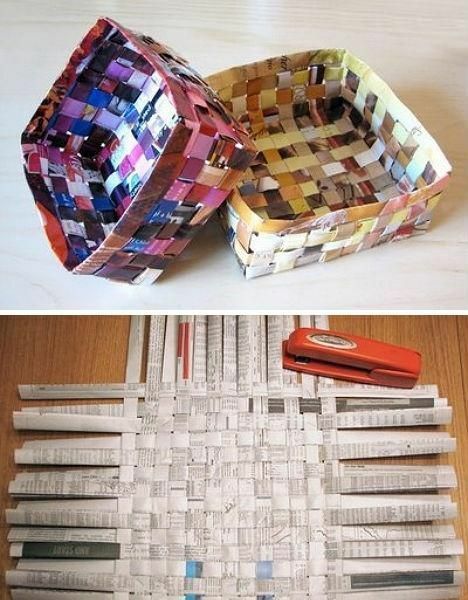 This instructable tutorial shows you exactly how to make some really nifty newspaper planters. 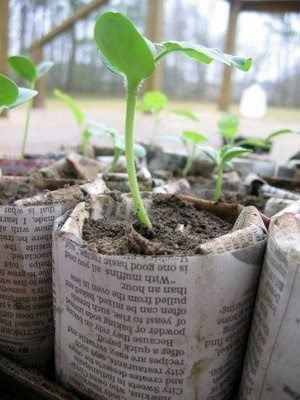 The newspaper itself is biodegradable so you can easily just bury the whole planter with the seedling when it comes time to report or plant in the ground. Super easy and cute! 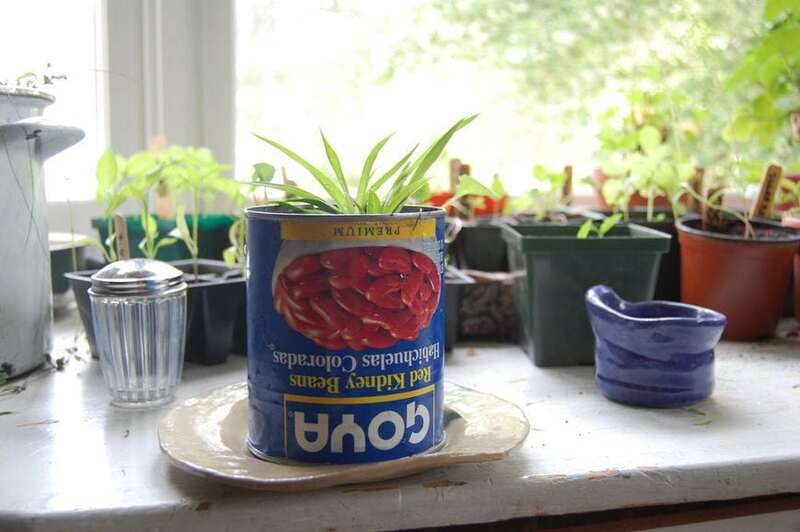 This DIY tutorial demonstrates just how to create your very own indoor garden using recycled tin cans. Instead of throwing those canned beans or canned soups away, wash them out, fill with some topsoil and plant some of your favorite herbs or vegetables to start your own kitchen garden. This video has some of the best (and easiest) Earth awareness inspired projects that transform recycled objects into pretty fun projects. This is especially great for kids since there are plenty of ideas that are inspired by today’s youths, including a super cool robot tutorial constructed out of tin cans. This video demonstrates how to create a super fun school project using line art. This is a really simple project that only requires some construction paper and some paint pens or metallic pens. This would be a cute way to get kids to create inspirational messages that could be hung around the classroom. 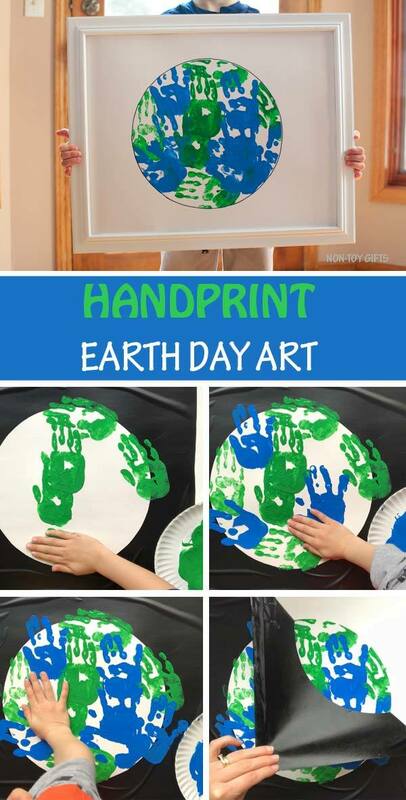 This super fun project features creating the world out of handprints. This is a super simple project as well since all you really need is some blue and green paint and some paper. Using their hands, kids can create their own world using green for the earth and blue for the oceans. This fun video brings some perfect Earth Day crafts for the classroom including some fun monster tissue box covers, some cardboard living room art and some hanging paper garlands. These are very easy projects that don’t take too much time to make and will look super great in the home. This interesting project brings the use of clay impressions to life via paint. 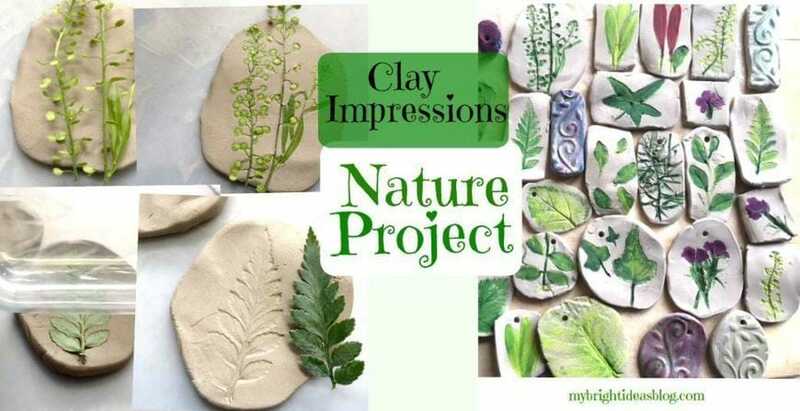 You’d simply press some natural elements such as leaves, shells or feathers into clay, let it sit and dry, and then paint them with vibrant colors to bring them to life. This is a great way to preserve things through art. This super interesting project features the use of cotton disks with dyed water. Using eye droppers, you can help the little ones create their own worlds by using the green dye for the earth and blue dye for the oceans. A super cute, interesting project that won’t take too many materials. This unique DIY project features a garden without using earth. 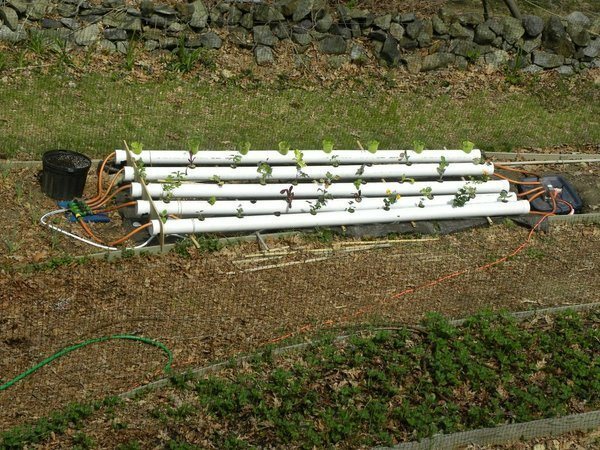 This is a PVC pipe garden that is self-sustaining and doesn’t require many natural resources. This is a great way to start a garden and teach about the importance of self-sustaining growing as the earth becomes more and more limited. 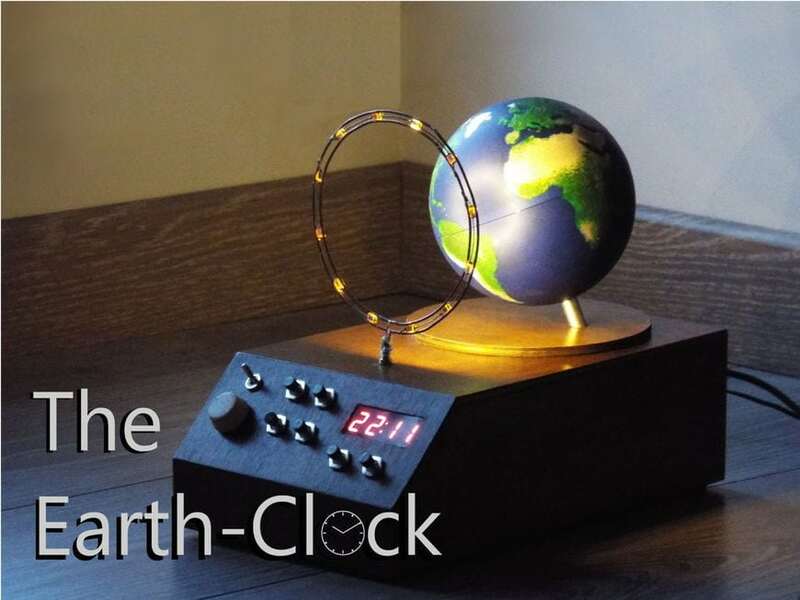 This earth clock idea is a truly unique project concept that may require a little more attention than some of these other projects, but it is well worth it. This is definitely a more science-heavy project since the light being this earth globe acts like the sun and you’re able to see what the earth looks like as it gravitates. This super cute keepsake project keeps a handprint preserved for years to come as a fun memory. This project calls for hard casting class or even plaster of Paris to hold a handprint impression with a fun theme for the important day. The blue and green colors add to the theme, of course. 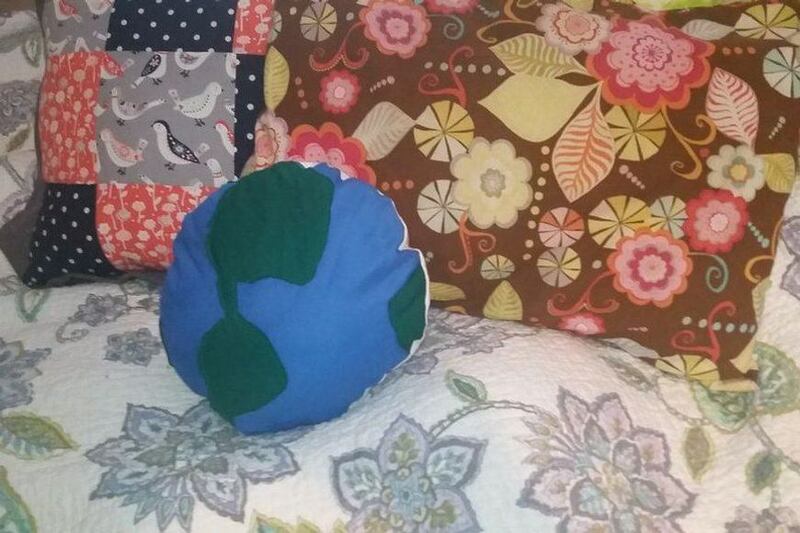 This awesome throw pillow is the perfect addition to the house just in time for Earth’s big day. This is a super cute DIY project that doesn’t take too much time and is safe enough for kids of all ages to construct with some extra adult supervision. This super cool DIY project shows you how to make your very own globe that is perfect for the garden or covered patio area. Using all recycled materials, such as old strips of newspaper and a balloon, you can easily construct your own globe that is impressive as it is neat. This instructable tutorial shows you how to make some pretty great jewelry such as this earth necklace. 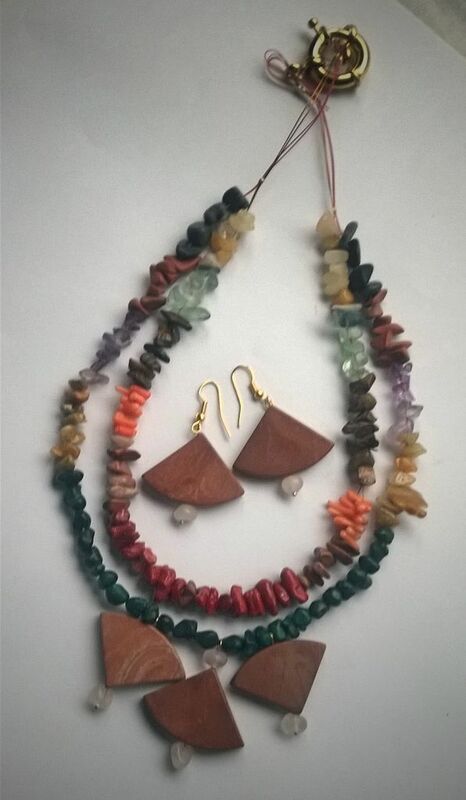 Using natural materials such as shells, bits of wood or rocks, you can easily create your custom specially themed jewelry that is both glamorous and inspiring. 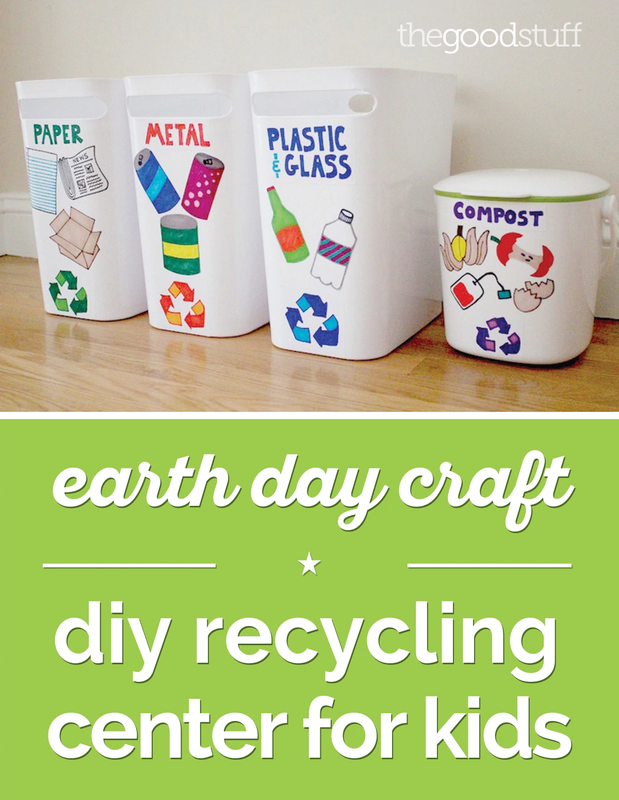 Create your very own recycling center by using some color-coded bins. With this project, you can add to some community service time and create these bins for schools, shelters or even business to help spread the awareness for recycling and inspire more people to do their part. This interesting article gives you plenty of ideas to execute fun activities within the class, such as park cleanups, beach cleanups and other ways to help recycle. If you need to find a simple project to do with the kids, there is plenty to look at in this article. This inspiration video features plenty of community service day projects that could easily be used for this special day. A lot of them are centered on community cleanup projects that are geared toward sprucing up parks or picking up trash from neighborhoods and other public places. This video features several different small changes you can make just in time for Earth Day. Some ideas are so simple, such as using biodegradable toothbrushes instead of regular ones, bringing your own bags to the grocery store and other ways to help conserve things. This lantern is a super cute way to inspire learning more about Earth Day and the importance of conservation. This is a great idea, especially for teachers, since this can easily be made into a super fun classroom project. At the end of it, kids can hang their lanterns around the classroom to display. Starting your own community or classroom garden is a super cute way to inspire others on this day. You can easily start this idea by using that great eggshell tutorial we saw earlier for seedlings and squaring away a bit of earth for planting in the future when the seedlings are ready. This instructable for creating DIY boxes is a super fun way to learn about the importance of gardening. This tutorial isn’t very hard and can be done pretty easily using minimalistic materials and plenty of seedlings. This would make a great home or classroom project. Get creative by making your very own hat that is perfect for kids or in the classroom. This is a fun, easy project that would be perfect for a fair or gathering since they are easy to construct and even easier to share. This is a really cute idea for kids of all ages. This nifty video shows you plenty of super fun bulletin boards or crafts you can use on a larger scale. For example, if a school is planning a fair, using these bulletin boards to show some fun facts about Earth Day would be a great start to spreading awareness. This fishing game is a super cute game that would be perfect for a school fair since it’s quick and isn’t too complicated. This would also be ideal for young kids since there isn’t much to the game and it’ won’t take too much time to learn the rules. These super cute projects are quick and easy to do – perfect for that fair setting or even a fiesta in the park. A lot of these project requires minimal materials so that makes it even easier, especially when dealing with a large number of kids. So, which project idea did you like the best? Have a fair or gathering coming up where you could use several of these great ideas? Even better! Earth Day activities really are better when shared in groups of kids or young adults since there is so much room for teaching in the importance of Earth Day, too. Have any experience in using some of these projects? We’d love to hear from you! Let us know about some of your favorite projects so we can all get in the loop on the fun.